What type of koi food would you recommend for color and rapid growth? I see web-sites recommend Saki-Hikari products, but they are on the pricey side. I also saw something on economical side called Azoo Koi Growth Plus Koi Food. Deos anyone have any experince with any koi growth and color products? Mazari Koi color enhancer,about 20.00 17lbs if the fish are in a outside pond. Although most koi foods claim to increase growth and colour to some extent there are separate foods available for this. It all depends on the time of the year, water temperatures and what you want to achieve. 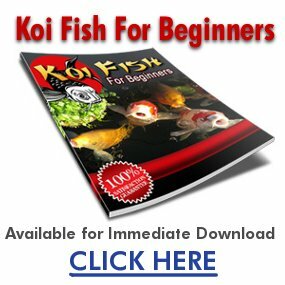 For people getting their koi ready for a show they will supplement their food or only feed them on special colour enhancing food. If the temperatures are in the 30’s then special high protein growth foods can be fed including silk worm pupae but you need to make sure the water conditions don’t decline. Some of these special feeds can be expensive so if you are after an all round food try Medicarp, Niigata, Nishikoi or Kusuri. Some of the Japanese foods are very good but sometimes difficult to get and expensive. It’s hard to advise you because not all foods are available in every country. Any food around and above 40% protein will be good for growth. For colouring they need to contain spiralina and krill or shrimp extract but if fed too much white koi can turn pink! I have had good results with Dai Suki Gold and Tetra’s new premium foods not bad with little waste. It’s best to feed a variety and try a few depending if your koi like it.